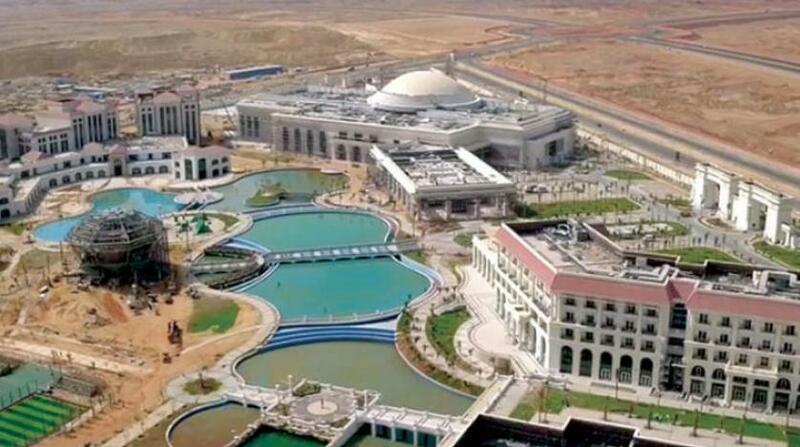 Brigadier Khalid al-Husseini, the official spokesman for the New Administrative Capital, announced the allocation of about 1,600 acres for the diplomatic district at the New Administrative Capital, adding that 50 embassies and diplomatic missions in Egypt have submitted requests to reserve headquarters there so far. According to Husseini, the price of the square meter is $400. He added that paying in installments is possible, expecting further diplomatic missions to make reservation requests. Husseini stressed that that second land offer has been completed, while the third land offer has been initiated with special selling rates. The New Administrative Capital Company offers privileges to investors not granted by any other company, he stressed. This came during a housing conference held by a real estate development company to announce the start of marketing for the second phase of “The Loft” project, one of the distinctive projects in the New Administrative Capital. Marketing for the first phase of the project has been completed, with contractual sales up to LE 600 million over three months. Total investments for the different phases of the project has reached LE 1 billion. Administrative districts are being implemented by the Armed Forces Engineering Authority, he said, adding that so far administrative units in the financial and business district have been sold to financial companies, banks, and the Central Bank of Egypt (CBE), in addition to the sale of commercial units within the residential districts as malls and shops. “We are proud of our contribution to the New Administrative Capital, which is one of the huge development projects in Egypt that has become a reality on the ground,” said Hashim al-Qadi, the commercial sector manager at the Real Estate Development Company. “We have introduced a new concept through The Loft project, which provided a new concept of practical life, as each customer can divide the spaces within his unit according to his vision and needs,” he added. The Loft project, located on an area of ​​23 acres, is divided into apartments, duplexes and penthouses, with spaces ranging from 78 to 350 meters. It is located close to the diplomatic district and the British University in Egypt, Qadi added. It is also 15 minutes away from the airport and the presidential palace. The project includes the largest number of green areas and gardens, as well as an underground garage, swimming pools, artificial lakes, a runway, children’s areas, and a health club, according to Qadi.